Although I do love a great soak in a steaming hot bath, a lot of the time I just don’t have those key minutes in my week to relax. The thought of devouring a book and sipping on a cup of tea is just perfection, but if I don’t have an opportunity to do so my morning shower offers the time I need to undertake a little pampering. Functionality is key, as is speed, when it comes to the products that make it into my shower – but anything that helps to up the sensations and leave my mind soothed as much as my body is definitely an added bonus. 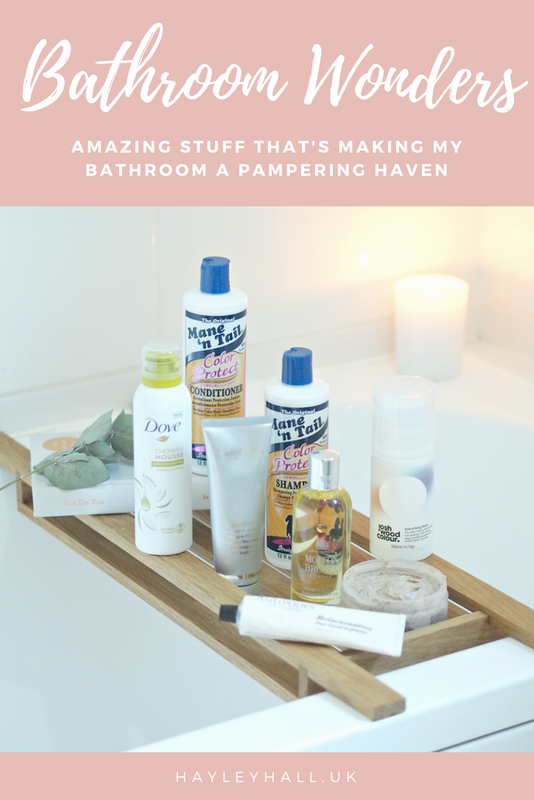 Right now my bathroom is full to the brim with all manner of lotions and potions that get me ready for the day, but these are those that add a little more than most… And keep my five minutes under the hot water all the more indulgent. I’ve used many shower mousses in the past and I love the light, comforting and pampering feeling they provide – this is no different. 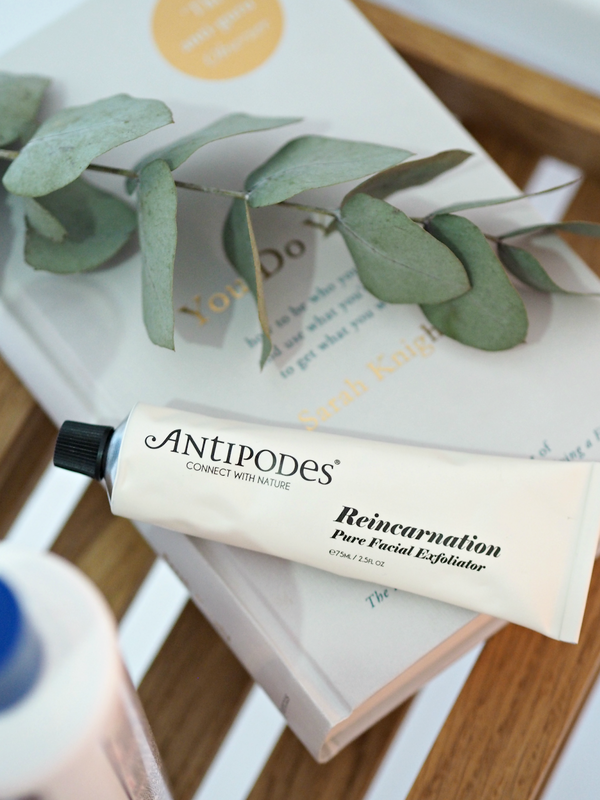 Enriched with the same nourishing ingredients we’re used to from Dove, this also includes powerful coconut oil to hydrate skin and leave it feeling supple post-shower. A little squirt of this in your hand is pretty much enough to cleanse your whole body, leaving an incredibly light mousse texture on the surface that is a complete pleasure to use. 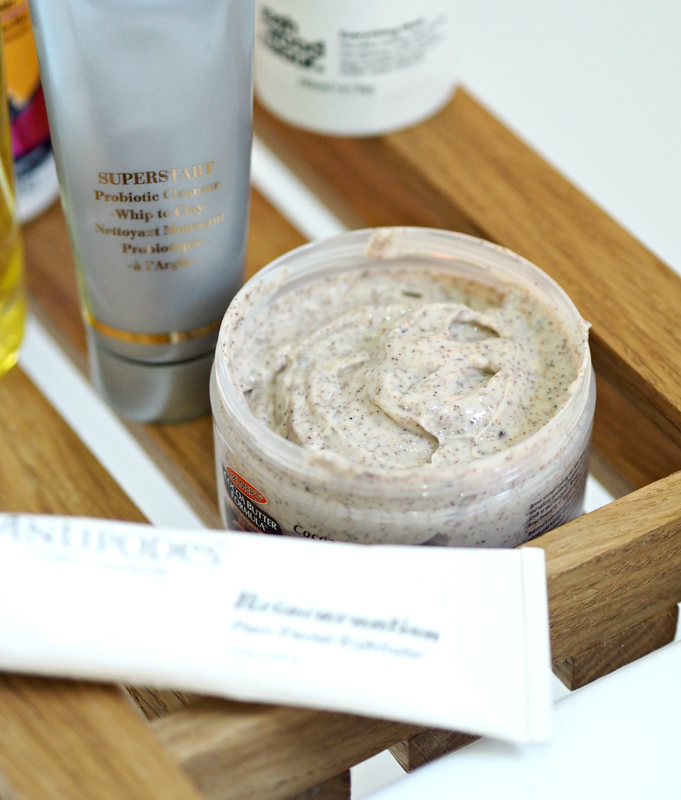 Also doubles up as a great hydrating shaving foam too! If hair treatments leave you confused and overwhelmed, this has been designed to minimise faff and deliver everything you need in one bottle. It claims to lock-in colour, add shine, hydrate and deep-condition your hair, delivering the ultimate treatment for pretty much every hair type. A few pumps of this once or twice a week just up-the-ante and leave my hair a touch more hydrated and bouncy, but leaving it on for up to an hour under a shower cap will boost the results and ensure your hair is left looking and feeling fab. An affordable way to look after your ‘do. wish, and an utter pleasure from the moment you unscrew the cap. special place in my heart, and for very good reason. 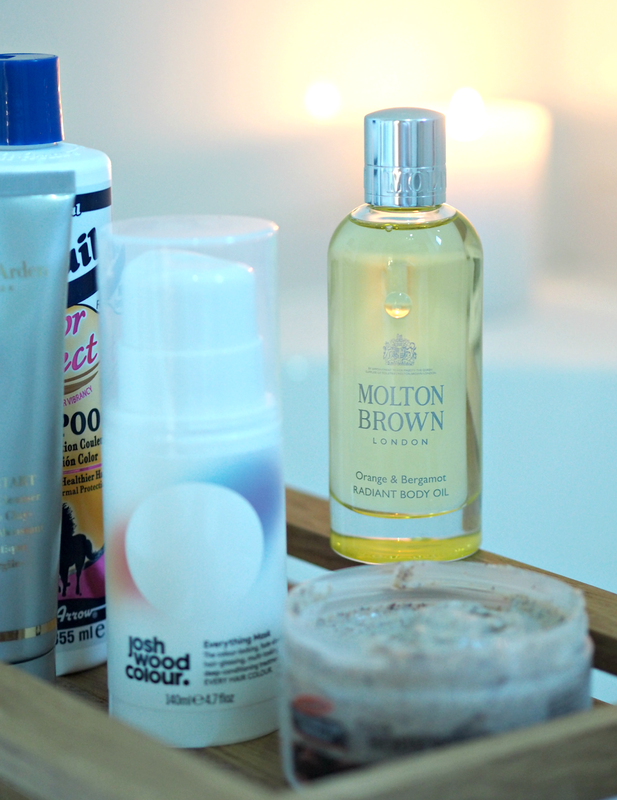 Often body oils can be heavy, greasy and sticky, but this beautifully scented oil from Molton Brown is the complete opposite: light, grease-free and perfect to hydrate and scent skin post-shower. You need just a couple of drops on each limb massaged in to leave a subtle glow, plus the Orange & Bergamot scent it truly energizing and just what you need on a dark and dreary Monday morning. Sometimes a little pamper before you head off to work can make the difference between a good day and a great day; these treats definitely help me with that. 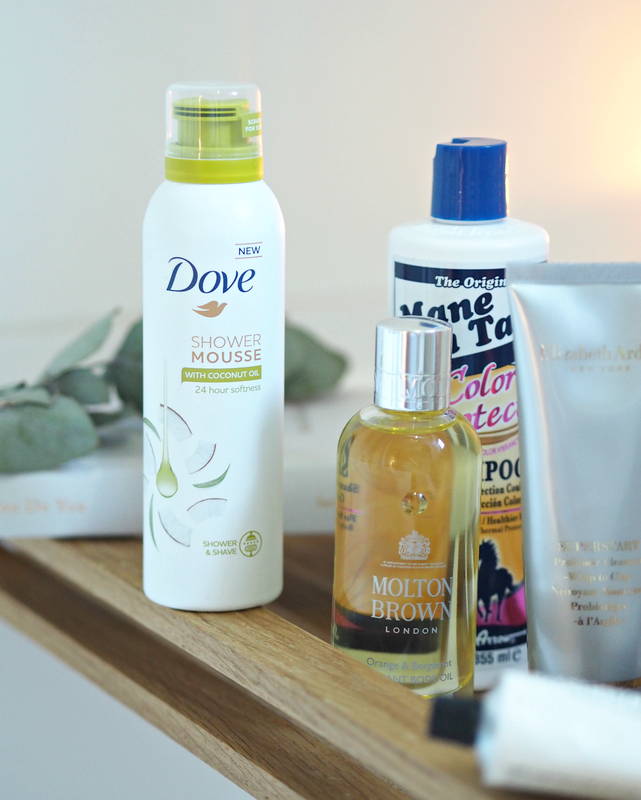 Which have you got your eye on, have tried yourself or have inspired you to ensure your showers are pampering and body comforting? SIGN UP TO MY MONTHLY NEWSLETTER HEREEXCLUSIVE NEWS, GIVEAWAYS & INFO ON WHAT YOU’VE MISSED! It doesn't actually smell coco-nutty randomly, but it does make my skin feel fab! How 'scrubby' is the Palmers scrub? I love a good heavy duty scrub and that is slightly cheaper than the Soap&Glory Pulp Friction I currently use! I’m a big fan of Palmer’s Cocoa Butter Body Scrub. I recently bought a tub for my friend and he loves it! A personal favourite of mine!